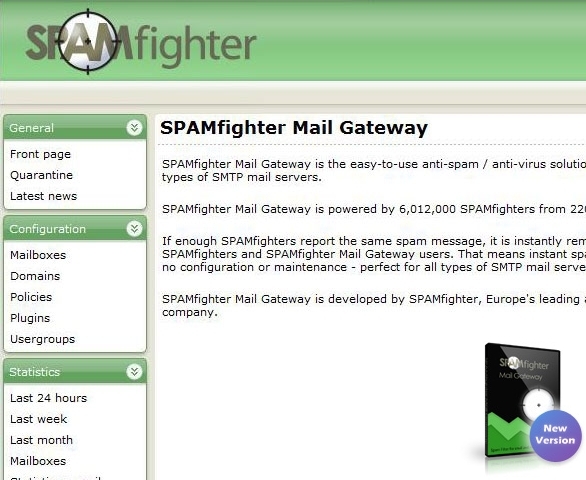 SPAMfighter Mail Gateway, is the easy-to-use anti-spam solution for Microsoft Windows Servers. SPAMfighter Mail Gateway is powered by the SPAMfighter Server, which is updated by the SPAMfighter community of millions of users across the globe. SPAMfighter Mail Gateway delivers instant spam protection with no configuration or maintenance what so ever. As an email arrives and the Anti Spam Server routes it to its addressees, SPAMfighter constructs a unique signature for each message and sends it to the SPAMfighter Server for evaluation.